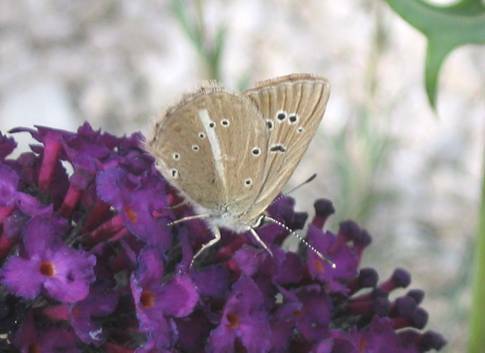 This butterfly has a rather scattered distribution, mainly in southern Europe, and in France is limited to the south-eastern corner. It is a species where both sexes have a plain brown upperside, hence the name 'anomalous'. The anomalous blue group of butterflies contains many different but very similar species generally only flying locally in reduced areas. 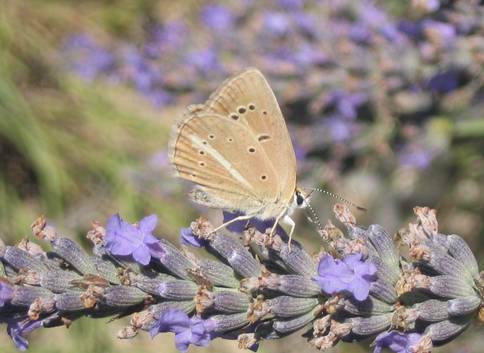 The trend would seem to be towards speciating new colonies in different distributional areas rather than considering the butterflies as subspecies of the same species. There is always likely to be debate as to whether so many 'identical' looking butterflies can really be different species. This trend is echoed nowadays in other species too, such as the Grayling (Hipparchia semele), which seems to continue to divide into more and more different species on distributional criteria whereas all the butterflies look the same and the markings are variable in any case. I found Ripart's Anomalous Blue to be rather smaller than I was expecting. 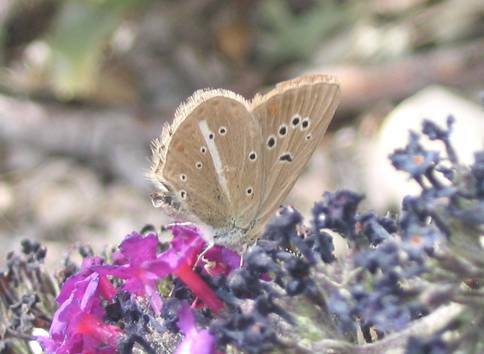 In France it is unlikely to be confused with the female Damon Blue (A.damon) as the latter has a much warmer tone to the underside and spots in spaces 1 and 1b, along with marginal markings, tend to be absent. 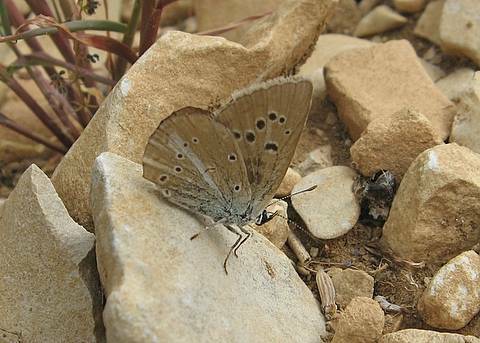 The female of Furry Blue (A.dolus) in Provence is usually reported with only a vestigial white stripe on the underside of the hindwing. 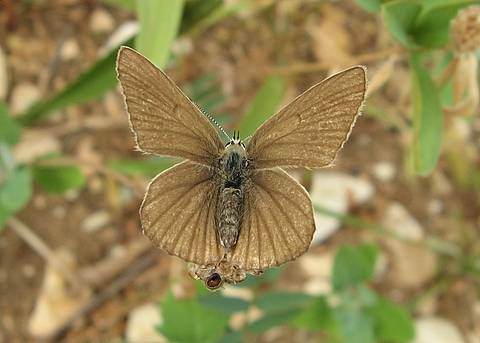 However, the female of the subspecies A.dolus vittatus which is restricted to the Cevennes could be far more similar, though there is no firm evidence today of distributional overlap. I've noticed that at some angles, the underside of Ripart's appears to show a hint of orange around space 2 of the faint marginal marks on all wings. A good spread of fresh uppersides should show much browner fringes than similar species, at least in the male.